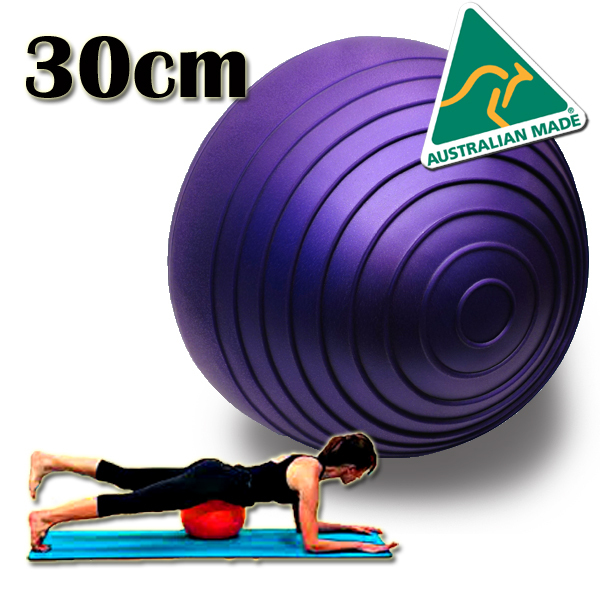 The 30cm Ball is made from Duralon and is incredibly tough. It fills the gap for many exercises, especially pilates, whixh require a ball that holds its shape under body weight for stretch, flexibility and strengthening exercise. It means that you can prone plank and keep your body horizontal. The length of the upper arm is about 30-33cm in most people - you can have your forearms on the floor and your core or legs on the ball. This maximises the effect of gravity along your whole body.